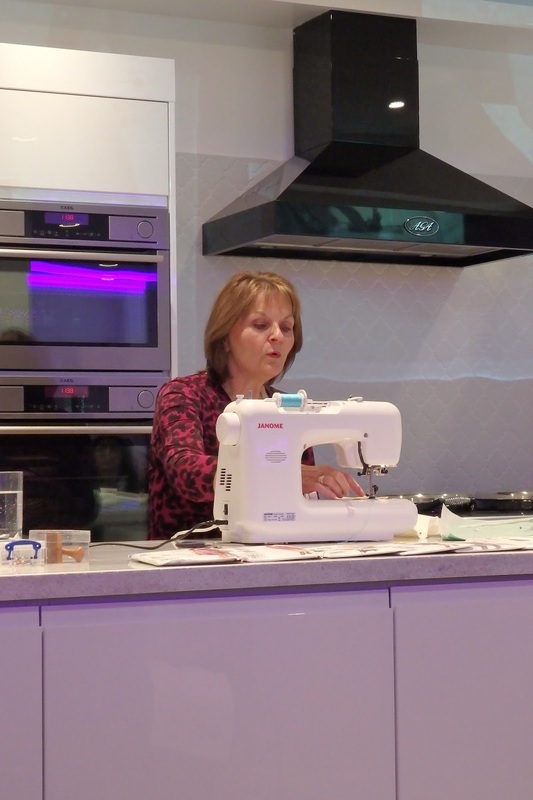 today i got up very early and went down to london to the simplicity blog meet with the queen of sewing herself…….. may martin! i was a little early, so found the hummingbird bakery, ready to buy some cakes when the meet up was over. pinched this from gabby because I forgot to take pictures with people! i sat with jenny and gabby, and also caught up with megan! i met so many other lovely people but i can’t remember everyone’s names, i’m sorry! name badges are a must next time. may did a lovely demonstration and went through lots of different techniques and tips. sometimes because i think it was the sewing bee that really made me start sewing clothes, i feel like sewing is a race all the time. i have to remind myself that it’s a process, not a race! hearing may talk about making your markings, notches, using tailors tacks (all those things that i skip over all the time…) inspired me to maybe start doing things properly. i might even start making toiles. who knows what magical process has started within me! i asked her if another series of the sewing bee would be on… AND SHE SAID YES! YAY! i can’t wait i’m so excited. a large part of me has been considering applying for the next series so i’m pretty psyched. here’s a picture of myself and may. it didn’t turn out great, but hey, it’s the queen of all sewing knowledge and i’m damn well documenting it. i have to hand it to the organisers of this event, simplicity (more specifically the people who work for them! ), as it was really fantastic. i could have listened to may talk all day and they managed to cover so much in a relatively short space of time. all the things may needed for the demonstrations were ready, there was never any faffing around, it was all laid out, sorted, ready for sewing! may mentioned a week long residential sewing course she does so i googled it when i got home… you can find some here, but i don’t think i’ve got a spare £550+ to be able to go. like ever. or the lack of conscience to let me spend that much on sewing when i’m saving for a house. oh before i go, i need to pre-warn you about something i did that i’m not quite sure why i did… at the end they asked if we wanted to do a little film interview about the day and good things about sewing. well i did it. i am going to be the MOST brummy you have ever heard, i’m sorry in advance! haha, I thought I would get on here as I was putting my pictures (very minimal amounts) on to my laptop! I should have hot more pictures with people!! Well, this looks like such a fun day. I'm the same as you, I cut ALL of the corners as I'm so impatient and just want to wear the new things I've not yet finished (or really started) making. it was really lovely! 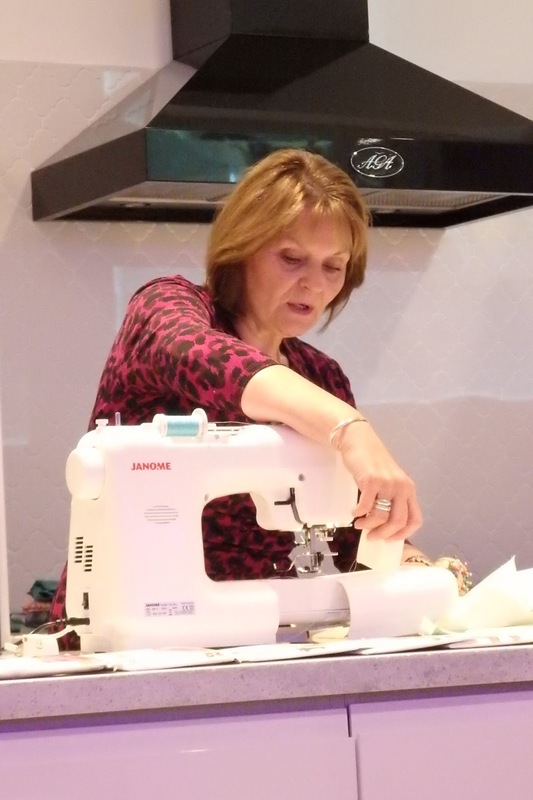 are you coming to sew brum? I hate doing thing properly it just takes SO LONG! haha. impatient sewing forever!